Fittingly, this year’s American Hippotherapy Association Biennial International Conference was held in the heart of horse country, Lexington, Kentucky. Our Coordinator of Therapy Services, Mel Dominko-Richards and one of our occupational therapists, Gina Taylor attended. Both Mel and Gina are very active in AHA, Inc. - Mel was just elected to the AHA,Inc. Board of Directors and Gina is a faculty member and past board member. They had a great time connecting with colleagues and hearing about what is new in the industry. The conference opening session focused on the new definition of hippotherapy and reminded the professionals present that hippotherapy is not a stand alone therapy. Therapists at Mane Stream and at other centers like ours, provide occupational therapy, physical therapy, and speech-language therapy and we use the horse’s movement as one of the treatment tools in our toolbox. The therapy needs to be front and center. This led into a great discussion on terminology and reimbursement and how its all tied together. 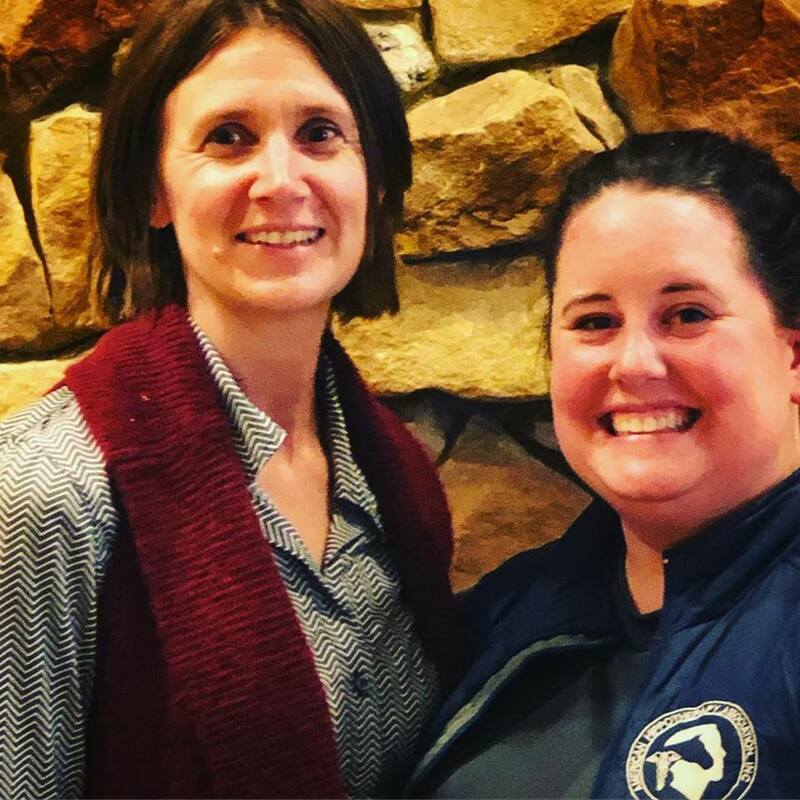 Both Mel and Gina are Board Certified Hippotherapy Clinical Specialists, meaning that they have both sat for and passed a rigorous exam given by the American Hippotherapy Certification Board. At conference, there was a special reception for all of the HPCS credentialed professionals and it was a great opportunity to meet colleagues from around the country and celebrate the hardwork and dedication it takes to attain and maintain the HPCS credentials. The second day of conference was filled with presentations on the biomechanics of the horse, the nutrition needs of the horse, and what we can do as equine professionals to keep our horses in tip-top condition. One of the great facts that we learned was that when a horse gallops, there is close to twice the horse’s body weight (4000 lbs!) of force on the hoof! Mel and Gina had a wonderful surprise when at the end of the keynote speaker’s presentation, there was a photo of a therapy session at Mane Stream! The final day of conference was filled with breakout presentations by leaders within both the therapy and horse industry. Mel and Gina attended different presentations that pertained to their clinical and personal interests. They both got to preview a new course that is being rolled out by AHA, Inc. about utilizing and improving critical thinking skills in your therapy practice. During the awards session at lunch time, both Mel and Gina were recognized for their continued involvement as committee chairs for the Social Media and Marketing Committee and the Online Education Committee. Although most of their time in Kentucky was devoted to the conference, Mel was able to experience some of the local sites. She visited the Kentucky Horse Park and though she wasn’t able to get the full tour, she was able to see a statue tribute to the great Secretariat and see where Man O’ War and some of his offspring were buried. Did you know that Man O’ War’s galloping stride was 28 FEET IN LENGTH? She also went behind the scenes at Keeneland Race Course, KESMARC (Kentucky Equine Sports Medicine and Aquatic Rehabilitation Center), and Spy Coast Farm (which was the highlight of the day for her!). 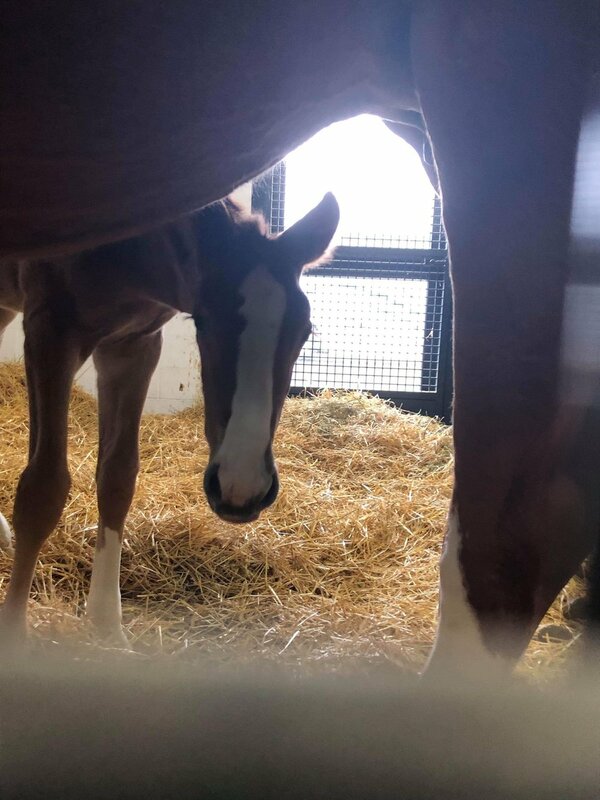 From learning about the the superstitions in the horse racing industry, to the rehabilitation of sport and racing horses alike, to seeing newborn foals it was a memorable a day. The conference was only a few days but Mel and Gina learned so much great information they are so excited to bring back to Mane Stream to make our therapy services even better than they already are! From the presentation of one of AHA, Inc.’s Board of Directors and quoted from Maya Angelou “Do the best you can until you know better...then do better-” we can’t wait to implement all that we learned to continue to bring unbridled possibilities to our clients and their families!